Q-Lab Florida’s 120,000 m2 outdoor weathering site and 900 m2 indoor accelerated testing lab. Q-Lab Florida has more specimens on test than any other outdoor weathering facility in the world. Q-Lab Florida is located south of Miami on the southern tip of Florida, in the only true subtropical region in the continental United States. We offer natural outdoor exposure testing, accelerated laboratory testing and specimen evaluation services at Q-Lab Florida. These contract test services are ISO 17025 accredited. Florida is the internationally recognized benchmark location for outdoor exposure testing. Florida subtropical weathering exposures are not only realistic, they are also accelerated. One year of Florida sunshine can equate to several years of weathering elsewhere. 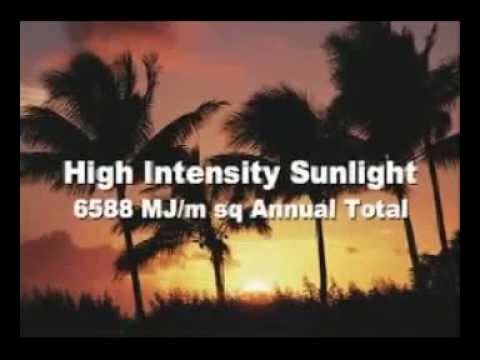 Our Florida site has high-intensity sunlight, high annual UV, high year round temperatures, abundant rainfall and very high humidity. It is this synergistic effect of UV, moisture and heat that makes Miami the ideal location for testing durability of materials in outdoor environments. Direct exposures are used to test many exterior-use materials, such as industrial coatings. Specimens are securely mounted with their front surface facing the sun. Different exposure angles and mounting methods are used for different applications. These exposures are used to test interior-use materials, such as textiles and printing inks. Specimens are behind 3 mm window glass which will filter out short-wave UV. Exposures are typically at 45º. These tests reproduce conditions found on the horizontal surfaces of a vehicle, including higher temperatures and wet times. Under glass black box exposures are used to test interior automotive materials. These under glass exposures simulate the environment inside an automobile and are suitable for mounting larger components like dashboards. Some AIM boxes feature solar tracking. Direct exposures with salt spray can produce fast and realistic corrosion, particularly for coated metals. 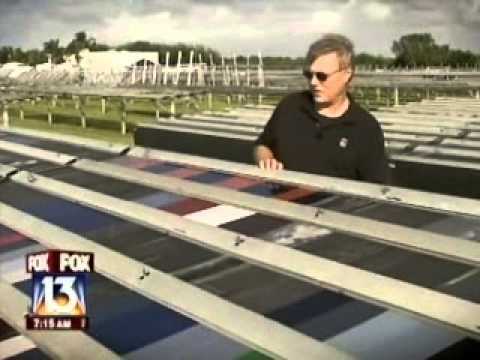 In this Florida exposure, panels are typically positioned at a 90º north to reduce sunlight, decrease surface temperatures, and increase moisture. In addition, specimens may be placed near or under vegetation to promote growth. 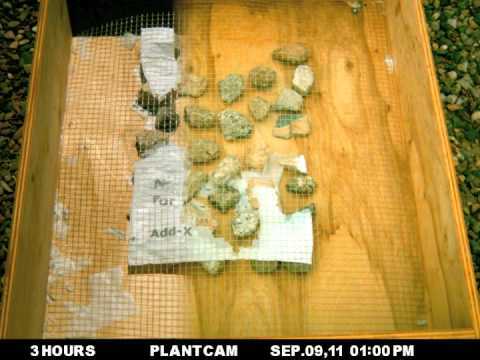 The specific type of specimen mounting technique and exposure angle both have a significant effect on solar energy dosage, specimen temperature, and time of wetness. For a full description, see LL-9025 - Outdoor Weathering Exposure Procedures, or contact Q-Lab to discuss which option is suitable for your test program. Florida outdoor exposure testing meets a variety of weathering and corrosion test methods, a small portion of which are listed below. Visit our Standards Page or contact Q-Lab for a more complete list. Natural exposure testing is an essential part of any weathering and light stability test program. Even if you perform accelerated laboratory weathering testing, you should also perform natural outdoor testing. Furthermore, many companies test their products outdoors in both Florida and Arizona. Q-Lab Florida has more specimens on test than any other outdoor weathering facility in the world. Curved automotive body panels are great candidates for outdoor exposure testing in Florida. Q-Lab Florida maintains the capability to mount specimens in almost any orientation including vertical, which is most appropriate for wood siding shown here. Sub-frames with window glass protect interior materials tested in "under glass" exposures. 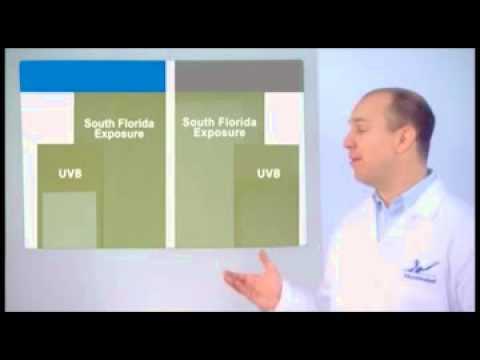 High temperatures are a major factor in Florida exposure tests. Using a "black box" increases the temperature of the specimens even more. These AIM Boxes are used to test materials for automotive interiors. They can hold large, 3D parts like instrument panels. Q-Lab Florida has the most southerly exposure of any outdoor weathering facility in the United States. Specimens in salt accelerated corrosion tests are sprayed with a salt solution twice per week. There are many different ways to expose specimens in Florida, depending on specimen size and shape, and which test method is being followed.